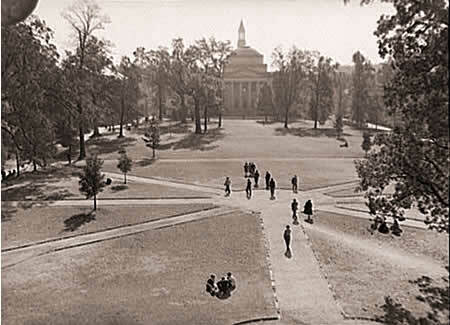 Campus of University of North Carolina, 1939. Library of Congress. Click image for more bibliographic information. Your comments or questions about this website or any of its contents are welcomed. Contact an H-URBAN Teaching Editor with your feedback or if you would like to submit contributions to the H-URBAN Teaching Center. Refer to the Syllabus Submission and Use Policy for further information on resources donated to the Center.